But the benefits of CBD don't stop there - read on for five remarkable medical uses for this compound that you probably didn't know about. In one study, researchers found that using CBD prevented the development of diabetes in non-obese, diabetic mice. Although they didn’t see a direct effect of CBD on glucose levels, the treatment prevented the production of IL-12 by splenocytes, a type of cytokine that plays a major role in many autoimmune diseases. Scientists from the Cajal Institute found that CBD served as durable protection from the effects of multiple sclerosis as well as reversed inflammatory responses. What’s more, they found that mice who received 10 days of CBD treatment showed progression in their autoimmune condition and had superior motor skills. Some experts believe that CBD may be an effective treatment for inflammatory bowel diseases such as Crohn’s disease because CBD and THC interact with the system that controls the body’s gut function. Due to CBD’s powerful anti-inflammatory properties, they think it may also be helpful in keeping inflammation – one of the main symptoms of the disease – at bay. CBD is well-known for its ability to banish feelings of anxiety when ingested by slowing everything down and relaxing the user’s nervous system. Those with post-traumatic stress disorder are often overcome with stress and anxiety and may find relief by using CBD due to its antipsychotic properties that promote a stable mental environment. Conventional treatments for fibromyalgia include corticosteroids, opioid pain medications and anti-inflammatory medications – all of which pose potential health risks. A 2011 study found that participants who used CBD to treat their fibromyalgia saw a greater reduction in pain and symptoms, while those who used conventional methods didn’t see much improvement. 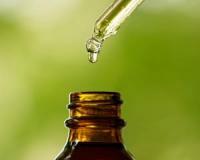 There you have it – five little-known medical uses for CBD!